Description: [Duplicate of Evolved Dark Caster Class] Recommended enhancement: Wizard. Channel the power of darkness to unleash your TRUE power! Special Effects: Gain mana from all hits landed in combat, and especially on crits. The amount depends on the damage relative to *their own* HP total. Description: A basic attack, taught to all adventurers. Damage dealt is based on your weapon damage. A malevolent spell unique to Dark Casters. Fire out a long-range blast of dark energy, dealing 100% spell damage with a 20% chance to make your target flinch, stunning them for 1 second. Note: Previously called Auto Attack. Description: A darkness spell that deals light damage and infects your enemy causing their sight to deteriorate. Applies Blighted Sight, lowering your target's hit chance and haste slightly for each stack with a maximum of 3 stacks. Deals 75% magical damage on impact. Stacks up to 3 times, each stack lasts 8 seconds. Each stack decreases enemy's hit chance by 8% and haste by 7%. Description: Shadowy and explosive bolts are shot from your fingertips to deal moderately strong damage to two, nearby enemies. Deals 140% magical damage on impact. Applies Smouldering, which increases the target's damage taken by 15% for 6 seconds. Description: As your life nears death, the Guide of the River Styx contracts with you to bring more souls to the Underworld in exchange for life and Styx Water. Heals you and 2 friendly targets and applies Styx Water to the first target, which gives a moderate heal-over-time for 12 seconds. Description: A powerful spell that unleashes the intangible and unavoidable darkness to lash out up to 3 targets' souls. Their souls lie in agony and begin to rot, applying Decay to negate all healing for 10 seconds. Note: Deals 320% magical damage. Required to accept the 'Unlock the Infinite Dark Caster (Legion)' quest. 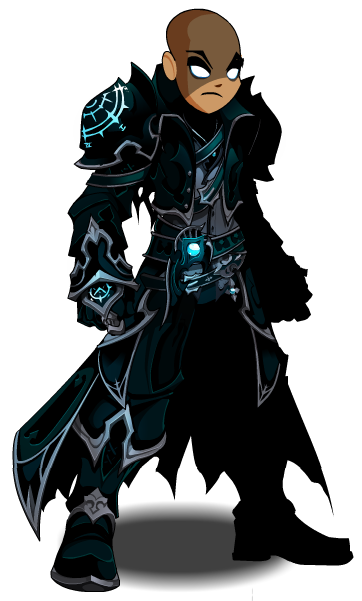 Infinite Dark Caster (0 AC). 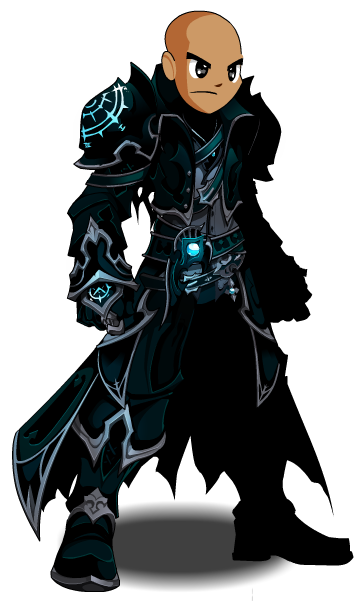 List of all Dark Caster Armors.